I was fishing for ideas to keep my every-day-of-2015 posting streak alive even though I am ill and feeling too congested and head-achy to write much. 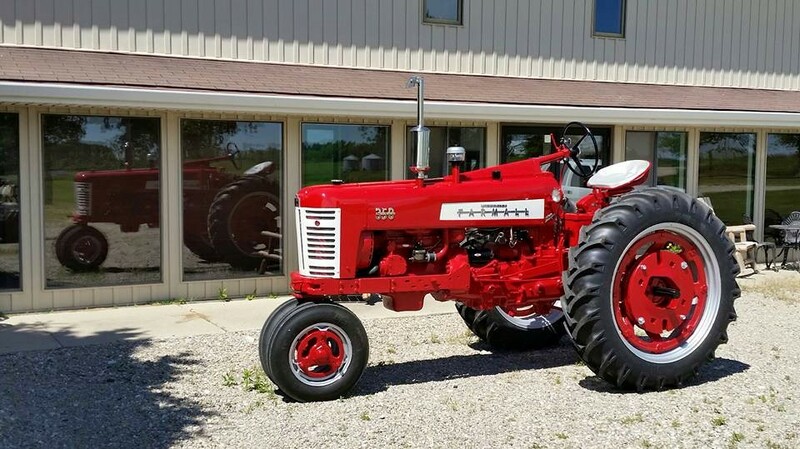 Then, an Iowa friend of mine who still lives in the town where I went to junior high and high school posted pictures of old restored tractors from the Belmond Area Arts Council photos on Facebook. Voila! I can post about tractors! This little work tractor is just like the one that Uncle Alvin used to teach me how to drive a tractor. 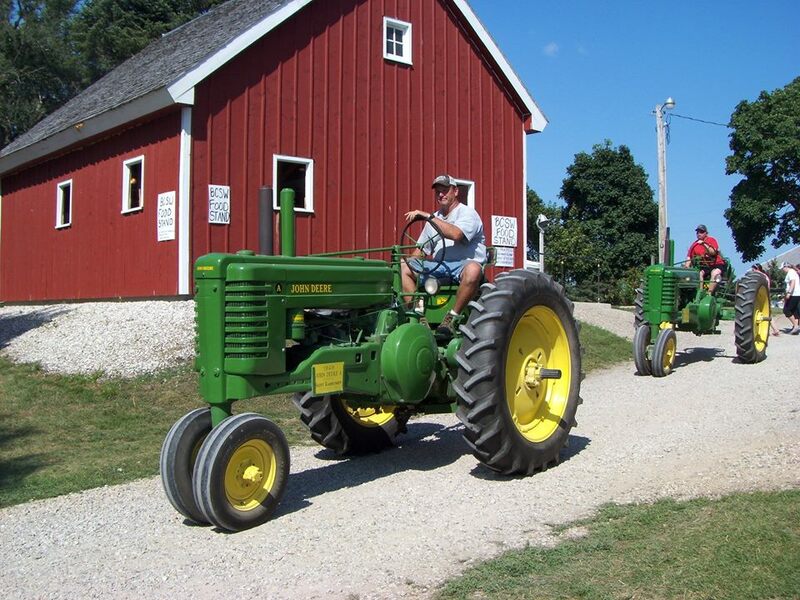 He set me to driving it in circles, actually a rather large square, around the farmyard at his place near Sheffield, Iowa. It was easy enough for a ten-year-old to handle that I graduated to using an actual John Deere tractor to use a hay rake on a clover-hay field to feed his Brown Swiss cattle, milk cows who were very dark brown and Uncle Alvin claimed gave chocolate milk. Uncle Alvin was never serious about anything, and when I was ten and pretty stupid in the ways of the world, I thought he was a real hoot. The John Deere we called a “Johnny Popper” because of the noise it made whenever it was chugging along through the fields. It was a sturdy dang-old tractor and survived my many gear-shifting mistakes. Uncle Alvin said as long as I never found the self-destruct setting, the tractor would be all right. 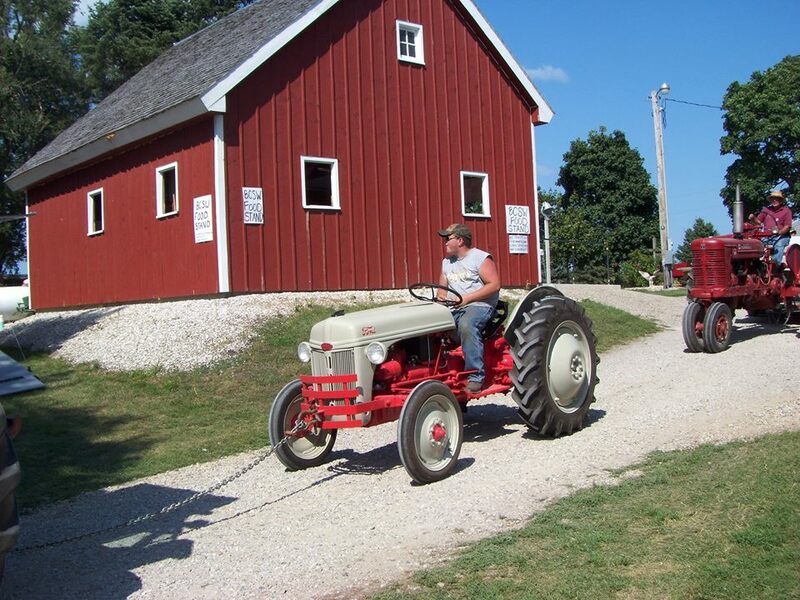 Uncle Larry always preferred a Farmall tractor. I liked them too, even though they were much harder to drive. I liked them because they were red. St. Louis Cardinals’ fan, don’t ya know. My favorite color is red. 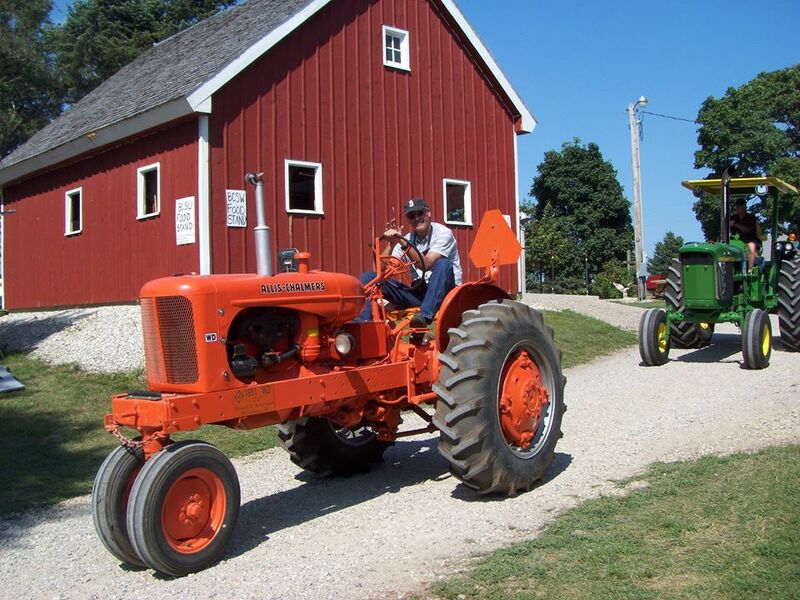 Never did I ever drive an Allis-Chalmers tractor. I did, however, play with a toy one that looked just like this one when I had to stay at Jenny Retleff’s farm place. Mom was a nurse and dad was an accountant, and sometimes after school neither of them was available to look after us, so we got dropped off at Jenny’s place a number of times. That wonderful old farm widow who looked after us was the mother of one of my Mom’s best friends in high school. Jenny is now gone. So is the farm place. Corn and soybeans grow where once the house and barn stood. Much of the way of life we used to know that was so interspersed with tractors of various sorts is now gone, a victim of modern ways. Did you notice? I wrote about 400 words more than I had intended to.